Washington Quarters...The Boat's Pulling Out - Don't Miss�It! It seems the 50 State Quarter Program has generated a LOT of interest in coin collecting in general and in Washington Quarters in particular. Undoubtedly. This long-dormant series, soon to celebrate its 68th birthday, has been a stepchild to its contemporary series such as the Lincoln Cent, Buffalo Nickel, Mercury Dime and Walking Liberty Half. If you heeded my advice in my new book, "Helpful Hints for Enjoying Coin Collecting," you should be well on your way to assembling a top-notch set of Washington Quarters. Any chance I get Bubba. Anyway, in the book I stated that it: "...offers a great opportunity for contrarians, those who collect coins currently out of favor or which are relatively price dormant." If you didn't take advantage of the relatively static price structure, there's still time. But act quickly, because the window of opportunity is closing rapidly. As in most of the other recent coinage, collectors by-and-large gravitate to the uncirculated specimens, leaving all but two or three (the 1932-D and S and the 1936-D) of the circulated issues through 1964 to the melting pot. This fact can only enhance the desirability of the series in the future. How can you be certain the coin you are buying is uncirculated? Obverse: The cheek; the hair over and behind the ear and the leading edge of the hair at the temple. Reverse: The eagle's breast and upper legs; the upper edges of the wings. What about DIFFERENCES IN COLOR? A difference in color is paramount in detecting wear on the above high points. It usually appears as a lighter or darker color compared to the rest of the surrounding design. Check carefully for the dreaded hairlines or slidemarks on the face of this portrait coin - remember that the grading services are highly critical of them. So make certain if they're there, you find them before you buy the coin. And, not unlike every other series, as this coin experiences more wear, the above areas will expand their color change and will lose detail, becoming flatter. It is felt by many serious variety collectors that the Washington Quarter affords more collectible doubled dies, repunched mintmarks and other significant varieties than any other recent series, with the possible exception of the Lincoln Cent. So, you might want to take a serious look at the Washington Quarter as your next collecting arena. It offers something for everyone, and one thing's for sure...the price is right - right NOW! Yes Bubba, I always have more to say. I strongly suggest having any "raw" 1932-D or S certified by one of the major grading companies, no matter what the condition or from whom you purchased it. 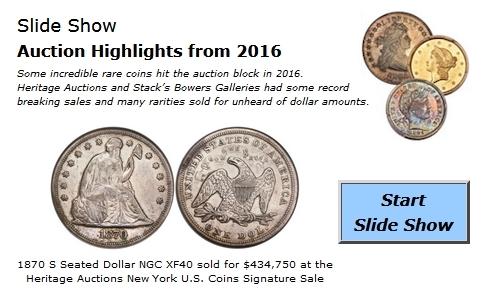 It's far better to find out now if the coin has an added mintmark than when you try to sell it. Secondly, I highly recommend a new book that's out on the subject by James Wiles. The title is "The Washington Quarter Dollar Book: An attribution and Pricing Guide." It is an excellent reference book covering all the known varieties and may be ordered from Stanton Books & Supplies, Savannah, GA. I missed that, can you please repeat the part about where to find the book. Sure...that was Stanton Books & Supplies. I heard that Stanton guy is a good fellow.